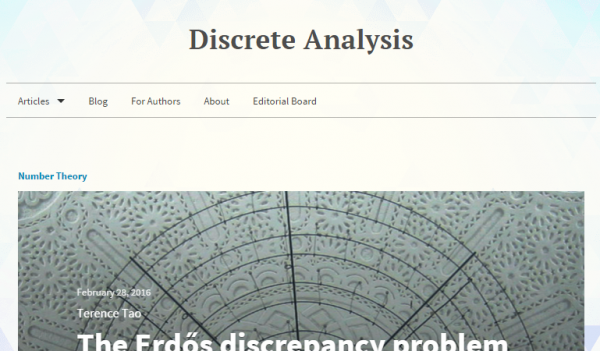 Discrete Analysis, a new open-access journal for articles which are “analytical in flavour but that also have an impact on the study of discrete structures”, launched this week. 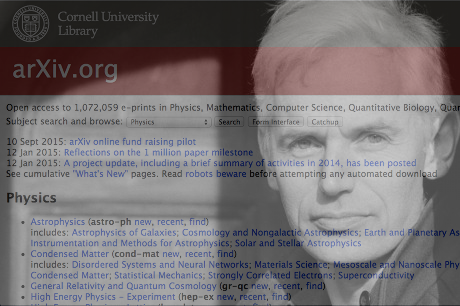 What’s interesting about it is that it’s an arXiv overlay journal founded by, among others, Timothy Gowers. Sir Timothy Gowers has announced on his blog a new journal, Discrete Analysis, of which he will be the managing editor. Rather than a traditional journal, this will be an open-access ‘arXiv overlay’.